Greg Golson hand signed this Minor League baseball with his full name, "Greg Joseph Golson." Greg golson is an American professional baseball outfielder for the Chicago White Sox of Major League Baseball. 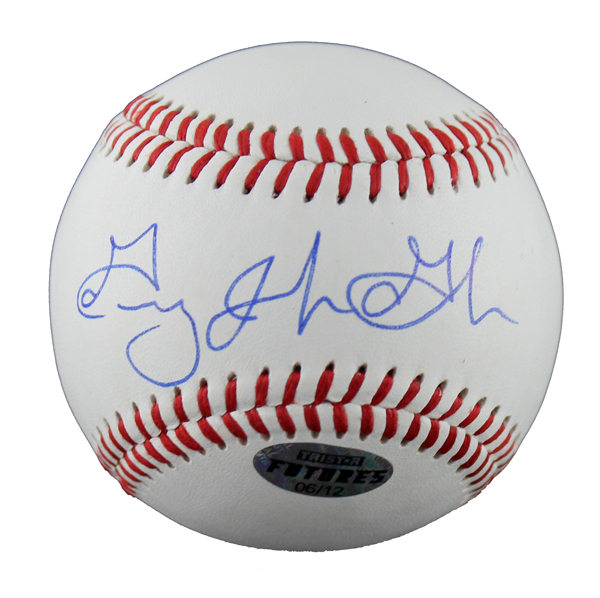 He has previously played for the Philadelphia Philles, Texas Rangers, and New York Yankees. This Greg Golson autographed baseball includes an individually numbered, tamper-evident TRISTAR Authentic hologram. The authenticity of your item can be verified at www.tristarauthentic.com, where you can also print a certificate to display with your item.